To a novice fisherman, the selection of various rods and reels the veteran enthusiast collects must seem a little confusing. Maybe one size doesn’t fit all, but just how many different rods and reels are needed to go out and catch a fish? The rod you use is dependent on two factors; the type of fishing you’re doing and the species of the fish you’re hoping to catch. When you are ultralight fishing, you should always look for a rod that has some flexibility at the tip. This helps you to watch the play of the lure and allows for the wrist action needed to keep that lure looking alive. How much action you want to play into the rod depends on the species of fish you are trying to entice. A standard choice for an all-around fishing rod that will allow you to catch just about anything from panfish to bass and catfish, is a medium light power spinning rod. Because spinning gear is so easy to use, it’s a greater starter rod for the beginning fisherman, as well as a standard addition to the veteran choice. A moderate action rod bends when you’re casting, two-thirds way from the tip. This allows plenty of control over your ultralight bait, allowing you to set the hook when fishing a plastic worm or jigging for bass. A fast action rod bends in the last quarter of the rod. They have great casting power and are ideal for fishing bluegill, crappy and small trout. For ultralight fishing however, don’t use a short rod. They do not have the power or desired action for serious fishing. Use at least a six-foot rod, as you never know when a big one will snap your bait. 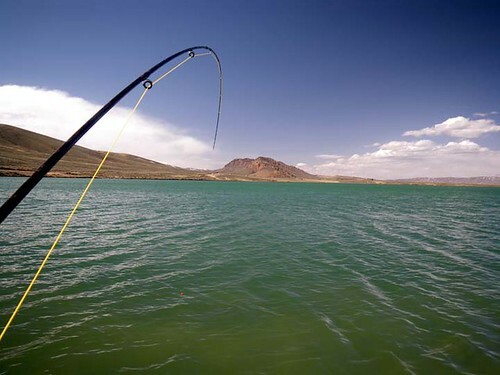 Instead of going home with a story about the big fish that got away, your story will be about the rod that got away. Experienced fishermen generally enjoy the versatility and strength of longer ultralight fishing rods. They cast farther, and are adaptable to a variety of different fish. They are useful for both casting and trolling. The rod power lies in its ability or strength to lift weight from its tip. When using an ultralight fishing rod, check the line weight ratings. The action and power of the rod are two different things. Power is closely related to line strength. Your ultralight fishing rod should closely match the strength of the line you’re using. If the rod is greater than the test strength of the line, the line will snap easily, even giving it up for snaps in sea grass or water soaked debris. If your test line is greater than your rod’s capacity, you can break the tip of your rod when the big one snaps up your lure. Price isn’t the real objective. If you are a novice, a medium priced ultralight fishing rod will perform just fine, giving you both the desired power and action for landing your fish. As you graduate into serious fishing addiction, you’ll begin thinking about those higher priced rods and reels as you learn the techniques and become more sensitive to your fishing rod’s action. As with any sport, your perspective of the way your equipment handles progresses as you become more familiar with how to use it. Using an ultralight fishing rod for fish bigger than panfish or trout is enormously challenging. It takes a lot of practice and skill to land a bass meant to pull in no more than a strapping lake trout, but ultralight fishing has captured the imagination of pro fishermen for exactly that reason. Once the actual challenge of fishing is over, the hunger becomes one of challenging the fish. With ultralight fishing for larger game fish, the fisherman doesn’t always come home the winner, but the satisfaction lies primarily in the battle. Don’t Forget to check out ourUltralight Fishing Post!